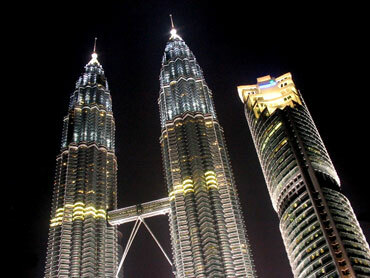 One stop that you will have to go to is the Petronas Twin Tower while visiting Kuala Lumpur. This city has many tourist attractions to see but the towers take the cake for sure. These are the tallest twin buildings in the world, and up until recently, they were the tallest buildings in the world. 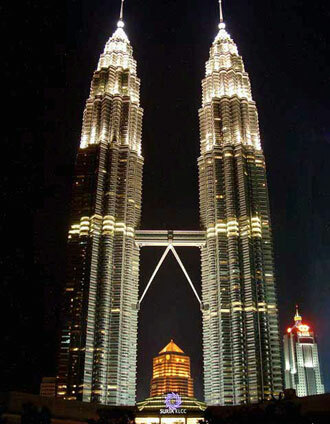 The Petronas Twin Tower was built in 1998. They were built for the Malaysian National Petroleum Company. Each building is identical, and was worked on with the exact same plans for both buildings. Not only are they famous for their heavenly reaching height, they encompas everything that is modern in a building and also magnifies the local flavour in its designs. There are eighty-eight stories of space that is primarily used for office space. Each building is just shy of being 1500 feet high, and has a cool futuristic look to it. You may recognize it from movies such as, Entrapment. The buildings make for a really interesting picture, and even though it is so new the skyline would be dull without it. Tourists are always swamping the building, but it can be difficult to get a tour of it, as it is often closed due to it being an office. 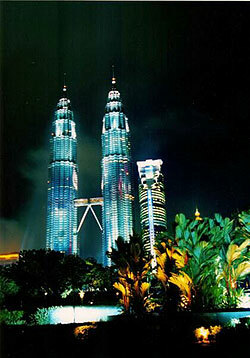 The Twin Towers are even better to see at night as they are lit up in the most majestic way. The towers shine like mirrors in the day, and at night the lights reflects beautifully off of each other. 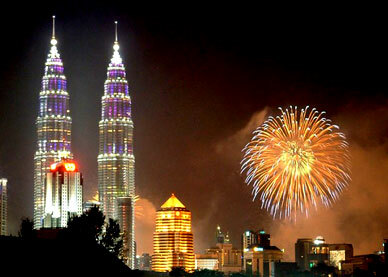 p>The Petronas Twin Tower have become both a Malaysian cultural and national symbol. Therefore they are catching everyones attention and are used as a way of selling Malaysia to tourists, whether it is on toys or television advertisements. The towers at one time were merely a dream. When the land was cleared, the space was supposed to be turned into a park. However, the expenses were seen as not worth it, and yet again the oil tycoons won the battle. Instead of turning it into a park developers had a multi-functional idea, where people could do the majority of their business in one convenient place. There was nothing in the plans about it being the worlds largest building, but that sparked after development started in 1991. Something that is really interesting is that the building architecture was done with an international competition. The only rules were to try and make it look Malaysian. In the end, the agreed on an architectural firm from the US, which had an idea of the building pointing towards the heavens. Rather then something that was primarily Malaysian. The interior has more of a Malaysian flare with all of the materials being local. p>What we were left with, are two beautiful buildings that shine in the sun, and glimmer in the night. A functional building with everything one needs in close vicinity. It is simply a must to visit this amazing architectural dream.